The new Volvo XC60 is an evolution of the dynamic Swedish SUV experience, with style, prestige and presence. It perfectly encapsulates both Volvo's XC and luxury values, so whether you're after a refined city drive or an exhilarating adventure, this in command SUV is intuitive to use, a pleasure to drive and beautiful to behold. Distinctive T-shaped LED headlights define the Volvo XC60 and give it a strong identity. And Active High Beam means you always get the best view, without dazzling other road users. Interacting with your Volvo XC60 is second nature. The centre display with touch screen has been designed to be intuitive and natural to use. Navigation and entertainment are all just a touch – or voice command – away. The air suspension provides the perfect balance between comfort and handling. You get a smooth ride whatever the surface and it helps keep the car level, so you always feel in control. 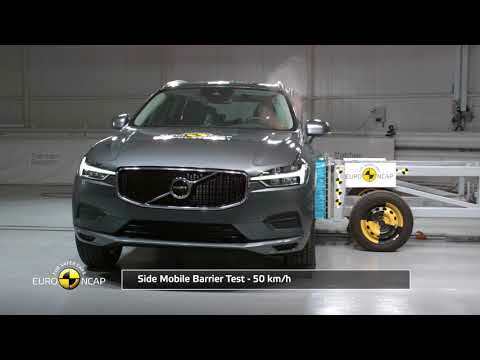 By helping you to steer the Volvo XC60 out of harm’s way, the latest safety technology can help to avoid collisions. At faster speeds it helps take the stress out of driving by giving gentle steering inputs, keeping you in lane. The new Volvo XC60 comes with the T8 Twin Engine powertrain, a plug-in hybrid that gives you performance, efficiency and low emissions without compromise. This is Volvo Cars’ intelligent approach to power.